EXTRATERRESTRIAL INTERVENTION IN OUR PLANET. Interlocutor: . 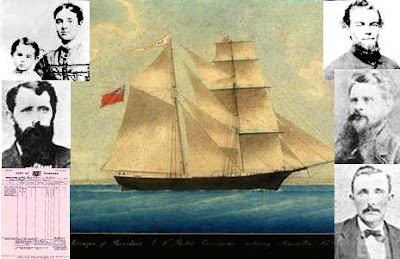 With regard to the famous ship Mary Celeste which story is known by all, what did it happen to its crew that disappeared misteriously? Ron Hubbard: There is no doubt that it was an extraterrestrial abduction. Interlocutor: And the reason? Was it maybe to experiment with them as if they were “guinea pigs”? Ron Hubbard: Let us call that way, but they have been treated very well. Interlocutor: Concretely, then, they didn’t go voluntarily. Ron Hubbard: No, but they agreed. Interlocutor: Well, then definitely it is almost as though they had gone voluntarily. Interlocutor: Do you know the name of the planet? Ron Hubbard: Yes, it is called Doribal 3. Interlocutor: And How far from us it is? Ron Hubbard: Around 105 light years. Interlocutor: Have many human beings been taken in the same way? Ron Hubbard: Yes, many. There are many accidents where people will die, and then the aliens take advantage to save them and they take them as work force. Interlocutor: Is it something like as if they were watching and before the fatal outcome takes place they abduct them? Ron Hubbard: Yes, correct. We are speaking of events that happen in places where they cannot be aided. Interlocutor: Let’s see if I understood. Let us suppose that some climbers were stranded due to a snowstorm and they are going to die for sure, or lost people in the desert that await death by dehydration. Ron Hubbard: Yes, similar cases. The Titanic itself that sank in 1812, left to the drift and sure death to many passengers who were rescued by aliens. Thousands died but others were abducted. Interlocutor: How many people are we speaking of? Ten, twenty, fifty, a hundred? Ron Hubbard: They were at least five hundred people abducted. Interlocutor: Although I should be already accustomed to these things, I am surprised. There is an entire hidden history that human beings don't know yet. Interlocutor: Could we communicate with them so that they tell us their odyssey? Ron Hubbard: Yes, of course! This entry was posted at Wednesday, June 17, 2009 and is filed under Missing Persons . You can follow any responses to this entry through the .